We rolled out a few product for Honeywell’s Shot Show both 2018 made with their Centurion laminate. Centurion-made tactical vests can be 35 to 40% lighter because they do not require extra fabric or webbing. The Centurion fabric is laser-cut according to user preference, resulting in slits along the vests from which officers can attach gear as needed. 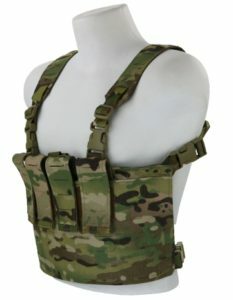 Since straps such as traditional Molle straps do not need be sewn into these vests, they are lighter and more comfortable for officers to wear. Pound for pound, Spectra is 15 times stronger than steel, yet light enough to float, according to the manufacturer. It is said to have up to 60% greater strength than alternate aramid fibre. Spectra fibre’s strength is designed to enable Centurion-made vests, plates carriers and other products to not only be lighter, but also resistant to cuts, abrasion and water, making them suitable for many tough environments. 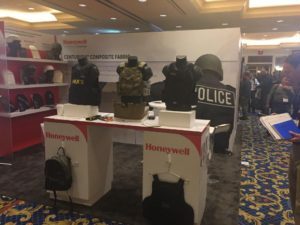 Honeywell is expanding its manufacturing capabilities for its Centurion composite material to meet increased demand from the global law enforcement market. 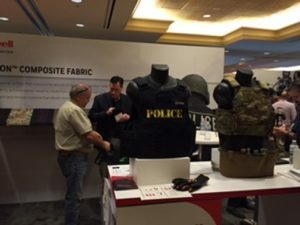 Centurion is the latest performance fabric made from Honeywell Spectra fibre, and is designed to make law enforcement apparel and equipment up to 40% lighter. It is available in six colours and designs, providing diverse options for end products that can be made with the fabric. We are looking at expanding our GRID product line with Centurion and color options they offer. Continue to watch as we make amazing products with these new laminates. Our Modular Combat Belt GRID adds additional space for mounting pouches or other Molle style gear. Ideal for when you may need to drop your vest but still want to be able to carry your essentials . At 3″ wide and padded with 3/8″ rigid closed cell foam, this belt is just as comfortable as it is useful. Modular GRID allows for attachment of any MOLLE/PALS style gear. 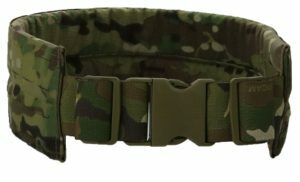 The Combat Belt GRID is available in Multicam, Coyote, Black and Ranger Green. Right now pistol caliber carbines and SBR’s (Short Barreled Rifles) are making a significant impact in the firearms community. However, not much gear is available for these popular conversions and weapons platform preferences. For example, an AR15 converted to a 9mm caliber that can accept Glock magazines is a great firearms platform to take downrange, but operating with an AR chest rig designed for 30 round AR magazines will not benefit the operator or the converted AR. 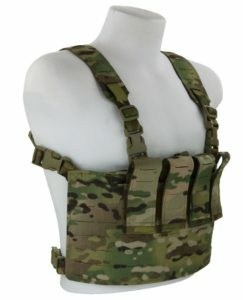 Various chest rigs that are available on the market designed for pistol and sidearm magazine load outs do not hold up to the standards that professional operators and firearms enthusiasts demand. 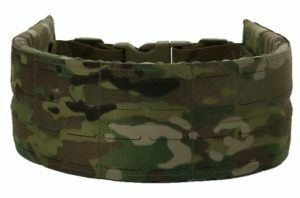 As well as many of these chest rigs imported from overseas are constructed with materials that do not withstand stress occurred from training downrange. 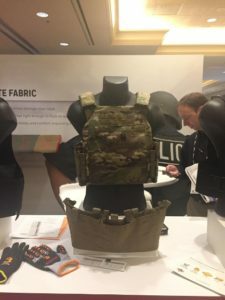 Some of the considerations when designing the PCC chest rig GRID were that the chest rig must be able to accommodate the most popular weapons conversions and weapon platform chassis that are trending throughout the firearms community. Naturally this research led to findings that Glock magazines were of the most popular options for AR15 conversions to a pistol caliber and that various chassis’ of the RONI conversion kits from CAA Gear Up are in extremely high demand. Operators of both of these weapons platform preferences run high-capacity Glock magazines that are commonly around 30 rounds. 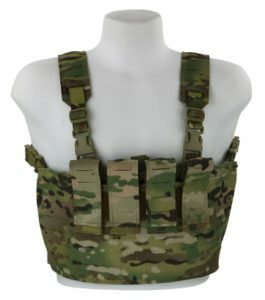 So a chest rig that can comfortably run at least four 30 round magazines seemed ideal. 1” straps were first released with the PCC over each magazine but after field tests and range tests it was realized that 2” straps provided more material for the operator to comfortably reload. The oversized magazine straps allow the operator the ability to reload magazines without breaking eye contact with their target(s). Just like other chest rigs available from Beez Combat Systems the PCC can also run the CRMB (Chest Rig MOLLE Belt) GRID via the 1” buckles located at the waist. The CRMB allows the operator the option of more MOLLE real-estate for additional magazines or accessory pouches located where a combat belt would be worn. On both sides of the front of the chest rig additional rows of MOLLE webbing can be found if more magazine shingles would like to be attached. The PCC is the lowest profile chest rig on the market for pistol caliber carbines and SBR conversions kits. The PCC also meets MIL-Spec thread and Velcro and has a variety of color options.